My mom recently bought for me a beautiful selection of antique linens at an estate sale. Included with these were a set of beautifully delicate linen and lace glass slippers. I loved them so much I decided to use them as inspiration. My new glass slippers reuse interior design fabric sample/swatches. I'm having a great time making them and will be listing more in my shop this afternoon. 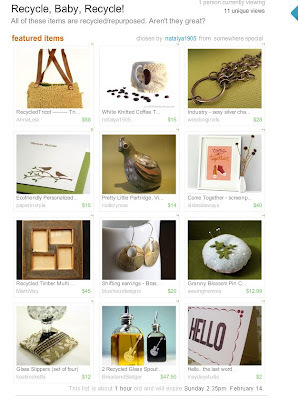 Thank you very much for featuring this Treasury!